The unofficial answer keys for UPSC civil services preliminary 2018 have been released. 05 June 2018: The Union Public Service Commission (UPSC) has conducted the Civil Services Preliminary examination 2018 successfully on 3 June (Sunday). Approximately 3 lakh candidates appeared for the exam this year at various centres across the country. As told by most of the students, General Studies (GS) section was difficult. 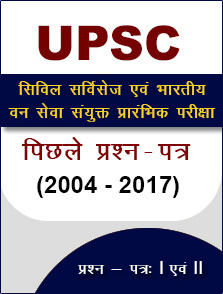 UPSC conducts the Civil Services Examination (CSE) for recruitment to Indian Administrative Service (IAS), Indian Police Service (IPS), Indian Foreign Service (IFS), and other central government services as per the rules published by the Department of Personnel and Training in the Gazette of India. The Civil Services Examination is popularly known as the IAS exam. The CSE is conducted in three phases – Preliminary, Main, and Interview. The Preliminary is based on objective-type questions while the Main is descriptive and essay-type. Candidates who qualify Prelims and Main are recommended for the Interview round. 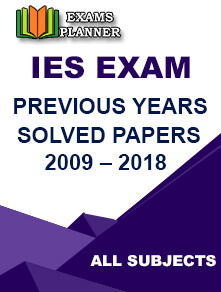 CSE/IAS Main consists of 9 papers. Out of these 2 papers are of qualifying nature while the other 7 are considered for making the merit list. Candidates need to pass all the papers (including qualifying) in order to become eligible for the next round. Each paper is of 3 hours duration. You can check out the detailed exam pattern for UPSC IAS Main. The CSE/IAS 2018 Main examination is scheduled to be conducted on 28th September. Thus, candidates are suggested to focus on their preparation for the Main exam.